The Maine Academy of Modern Music named MaineToday content producer and music columnist Aimsel Ponti one of its Rock Stars in Our Communities at its Chords for Kids Scholarship Gala Fundraiser, held Thursday at Aura in Portland. Ponti, who is also the host of the radio show “Music from 207” on WCLZ, was given the award for music community leader. Other recipients were Coffee by Design owner Mary Allen Lindemann for the community sponsor award, Chris Hunt of the Hunt Foundation for the foundation partner award, Bonny Eagle choir director Allen Thomas for the music educator award, Casco Bay High School senior Emma Ivy for the student leadership award, and husband and wife Lauren Sullivan and Adam Gardner of Guster, founders of nonprofit Reverb, for the founders award. Ponti was recognized “for her tireless promotion and advocacy of local music for more than 15 years,” according to Maine Academy of Modern Music’s website. Executive director Jeff Shaw also recognized Ponti as MAMM’s “go-to” emcee for events, including its annual Girls Rock! show. “She lights up the room with genuine enthusiasm for each and every student on stage. We are endlessly grateful for her support,” Shaw said. 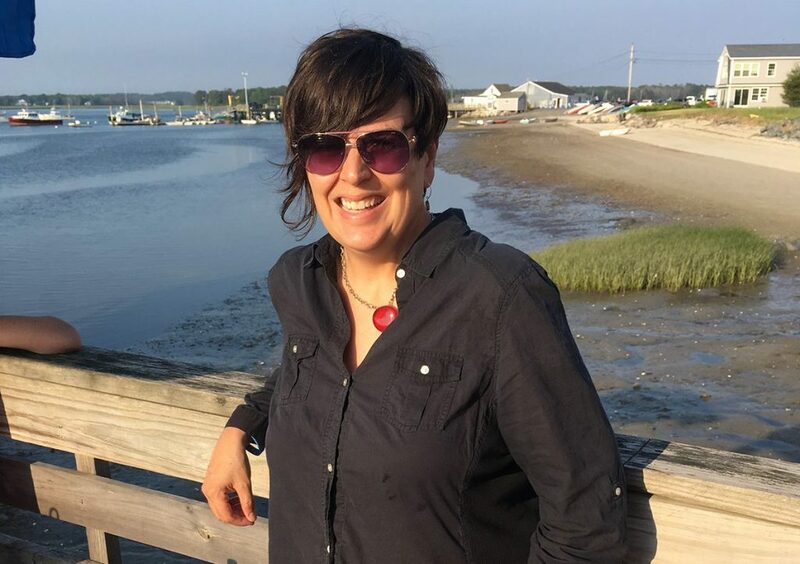 Ponti, 49, who lives in Cape Elizabeth, has written a weekly music column, now called “Face the Music” and appearing in the Portland Press Herald’s MaineToday Magazine, for 15 years. Based in Portland, the Maine Academy of Modern Music provides music education, has three student bands and hosts competitions and other events.